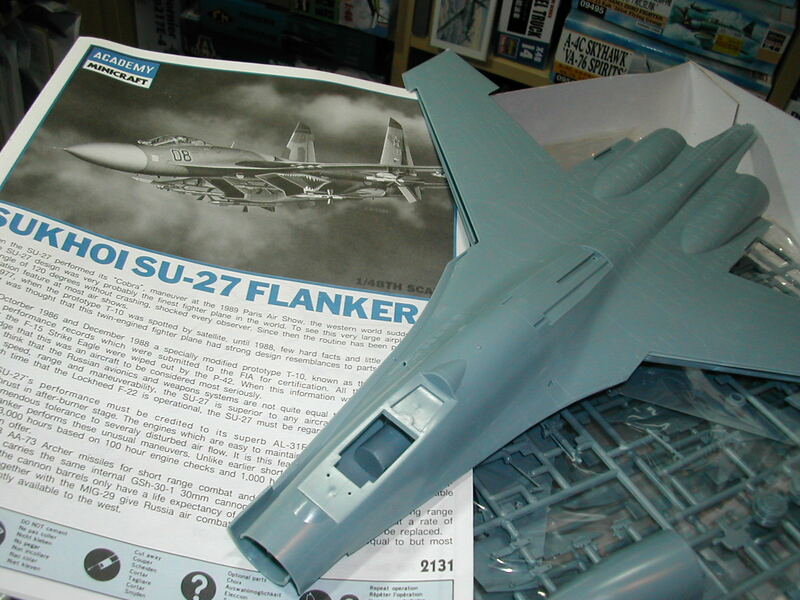 Every old-hand modeller understands the obsession with building a certain kit. How long has a favourite kit been on your shelf ? You get it down, dust it reverentially and take a look inside. After ten minutes of fondling the parts and inspecting the decals you sigh a little and put it back, saving it a bit longer. 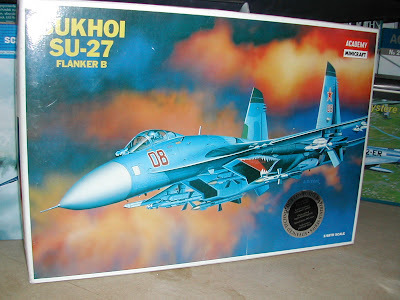 Yes, I admit it, the Sukhoi Su 27 in 1/48 scale is a big favourite of mine. Ever since Academy announced it, I have wanted to build it. Then I read the review; with trembling hands I turned the page only to find 'disappointing cockpit' and 'decals need replacing'. I was crest-fallen. Like going to the cinema and finding there's no popcorn. What could be worse? I bought the kit anyway. Eventually. And it's been sitting there in its slot since May 2007, flawed perfection waiting for me to sort it out. I was giving it its regular potential-next-build inspection when my wife came in and, perceptive woman that she is, said 'for goodness sake just get the parts and build the damn thing'. So you know? I think I will.